It’s the last day of my 5 days of makeup challenge! I have to say, it’s been both challenging and fun. This final look is all about the glitter lids and orange-red lips. And a bit about the skin as well. You might have noticed a slight glowy skin trend going on with me at the moment and this look is no exception. I got some more new products (in pr) and here I just had to try the beautyblender’s new Re-dew Set & Refresh Spray*. The Re-Dew Setting Spray contains hydrolized silk, hyaluronic acid as well as some light oils and even probiotics. 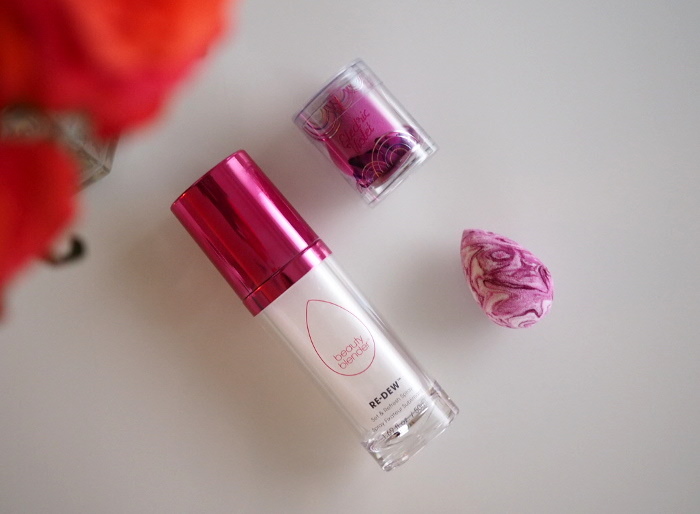 It can be used as a setting spray, before foundation, spritzed onto a sponge or just as a refresher during the day. It’s only been my first time trying it so I’m giving you my first impressions. First of all, I love the packaging. I also like how fine the mist is – it’s easy to spray on. I can’t wait to try it on top of my foundation and powder, since it should make them melt together nicely. But for my first time using it, I wanted to see how it works with a foundation that is quite full-coverage and semi matte, since the spray has some hydrating properties. The foundation I used was one of my favorite foundations, Clarins’ Everlasting Foundation+. I sprayed my damp beautyblender with the mist and blended my foundation with that in sections. My skin can get a bit dehydrated and right now that foundation is a bit too matte for my liking. But paired with this mist – it was perfect! 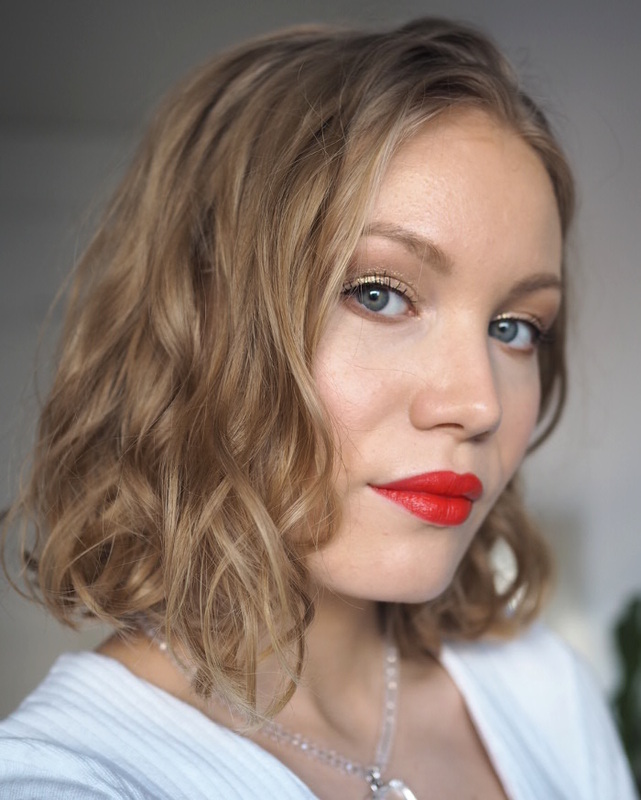 It gave the foundation and my skin a nice hydration boost – with some glow. 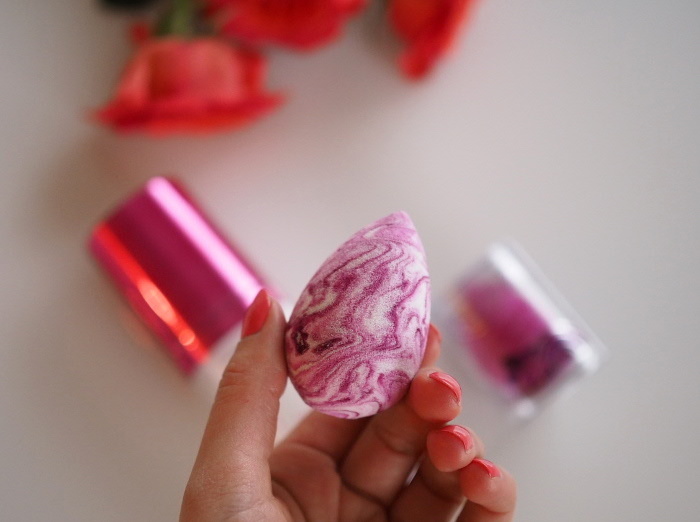 I also got the original beautyblender in a new color: electric violet swirl*. I used NYX Glitter Goals* liquid glitter eyeshadow in my first look of this week so it’s only suitable to end this week with the same product. Here I applied it straight onto my lid to, whereas in my first look I just applied a touch of it. Again, as I said, I love how easy these glitters are to work with. No mess whatsoever, since they are in liquid form. What did you think about this 5 days of makeup challenge? I would love to hear your feedback! And as always, if you have post suggestions, leave them down below.